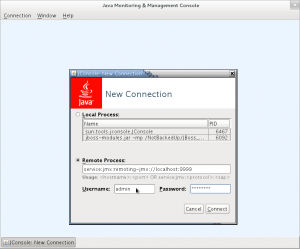 JBossAS7 provides useful ways to create our own custom MBeans using SAR archives as mentioned in our previous articles. Now in this current demo we will see how we can create and and register our own custom “MXBean” in JBossAS7. An MXBean is a kind of MBean. An MXBean object can be registered directly in the MBean Server, or it can be used as an argument to StandardMBean and the resultant MBean registered in the MBean Server. These beans have an annotation @MXBean(true) or just @MXBean. The MXBean concept provides a simple way to code an MBean that only references a predefined set of types, the ones defined by javax.management.openmbean. In this way, you can be sure that your MBean will be usable by any client, including remote clients, without any requirement that the client have access to model-specific classes representing the types of your MBeans. Step-2). Create a directory with the name “src” somewhere in your file system like “/home/userone/MXBeanDemo/”. 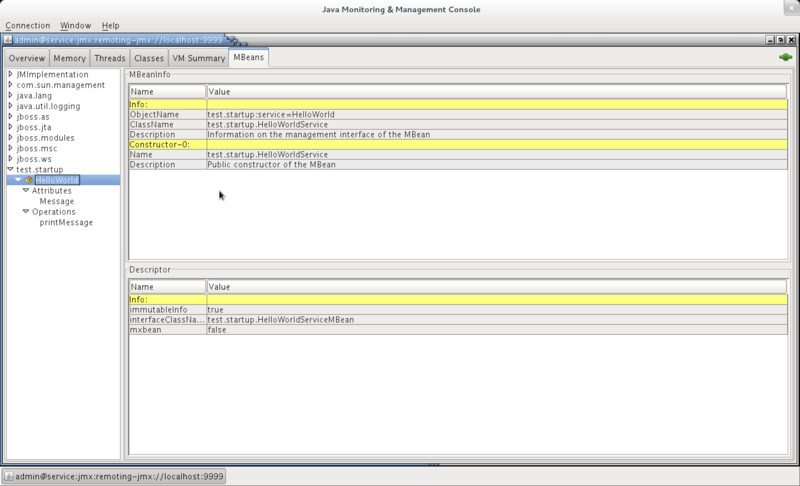 Inside the “src” directory we are going to place our all source code and xml files for development. 11:57:32,026 INFO  [org.jboss.as.server.deployment] (MSC service thread 1-2) JBAS015876: Starting deployment of "MXBeanDemo.war"
11:57:32,190 INFO  [org.jboss.as.server] (DeploymentScanner-threads - 1) JBAS018565: Replaced deployment "MXBeanDemo.war" with deployment "MXBeanDemo.war"